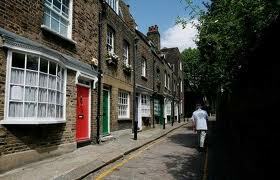 Miss Immy's London: Did You Know? Did you know there are five cash machines in London which offer English or Cockney for your transaction? It'll ask you to enter your Huckleberry Finn (PIN). Whether you would like your Sausage & Mash (cash) with a receipt. 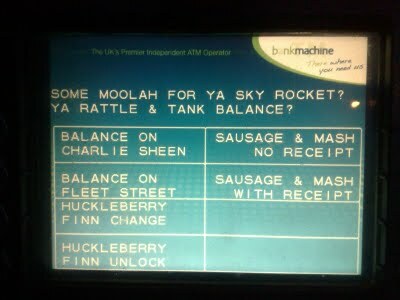 And if you'd like to see your Rattle & Tank (bank) balance on the Charlie Sheen (screen). If you're ever heading up East, check out the ATMs on Commercial Rd and Roman Rd and if you find one, I'm sure it'll put a big smile on your boat race! Did you know that literally a stone's throw from the hustle and bustle of Kings Cross St Pancras, there is a wonderful oasis of calm? 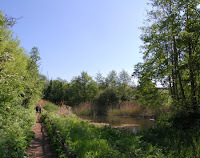 Two acres of wild green space by the Regent's Canal. So next time you're waiting for your Eurostar, why not nip around the corner to Camley Street, NW1 and enjoy some time at one with nature. You may even spot a kingfisher. Did you know that in the heart of Richmond Park at Poets Corner by Pembroke Lodge Gardens, there is a very special bench? It is dedicated to the rock legend, Ian Dury, who apparently enjoyed spending time there with his kids. 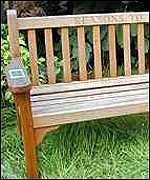 But it's not any old bench. It has a special solar-powerd panel built into the arm-rest where you can plug in your (own) headphones, and as if by magic, listen to 8 songs plus an interview by the gravel-voiced master. Surely a visit there is a definite reason to be cheerful. Did you know that inside one of the arches of Admiralty Arch by Trafalgar Square, is a very tiny nose-shaped protrusion? It is believed to be a small statue replica of the Duke of Wellington's nose (who was known for having an especially large one!) Positioned at approximately seven foot high, it is perfect waist-height for anyone on horseback, and apparently Royal Horsemen would rub the nose for good luck as they rode through the arch. 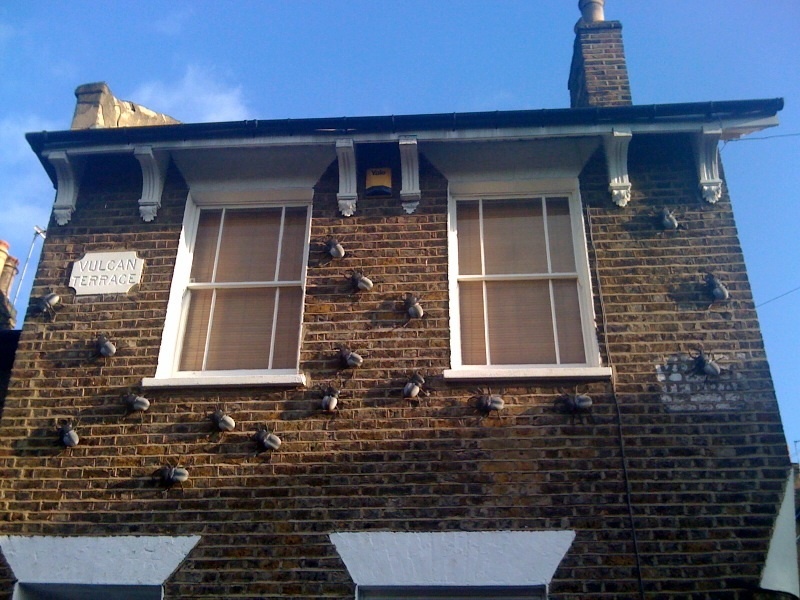 Did you know there is a house on Vulcan Terrace in South East London which is covered in giant beetles? It's a strange, surreal sight to behold. When I first came across it, I was filled with a mixture of horror and amusement. Why anyone would want a plague of beetles crawling over their house I don't know. But thankfully they're not real, and now I'm used to them, I actually think they're pretty cool. 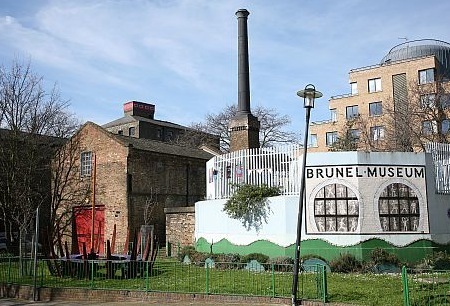 If you're roaming near Brockley, go and see it for yourself. Did you know there is a Victorian pet cemetery located in Hyde Park? Dating back to 1880, the cemetery is home to hundreds of small tombstones, engraved with loving epitaphs from adoring owners to the likes of Jack, Curly, Bijou and Ginger Blythe. The Victorian aristocracy were particularly fond of their pets so special cemeteries for their furry friends were quite the norm. There is no public access but you can get a good view through the railings. It is situated on the corner of Victoria Gate and Bayswater Road. Did you know that dotted around London there are a bunch of little green wooden huts where you can grab a cuppa and a bacon roll? 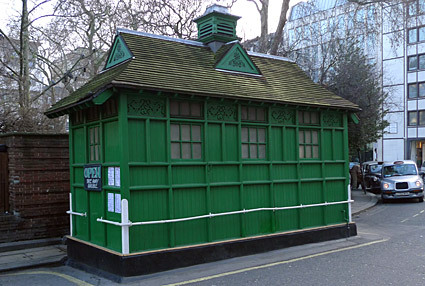 Dating back to 1875, these shelters were designed as somewhere cab drivers could park their taxi and enjoy a rest and a wholesome, affordable meal. Originally 61 huts were built, whilst only 13 remain which are Grade II listed. The 'Cab Men's Shelter' charity was set up by the Earl of Shaftesbury and the charity still funds the maintenance of the huts today. Although the interior is exclusively for cabbies, members of the public are allowed to go to the hatch and order refreshments to take away. 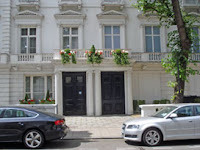 Did you know that 23 & 24 Leinster Gardens in Paddington are in fact 'dummy' houses? In 1868, the Metropolitan tube line route between Paddington and Bayswater was built, resulting in these two properties being demolished to allow enough open space for ventilation in the underground tunnels below. As it was an upmarket area full of large houses, rather than spoiling the look of the street, a five storey false facade (5ft thick) replaced the properties. It's easy to miss, but if you look closely, you'll see the windows are painted grey. Apparently in the 1930's, a naughty trickster sold expensive tickets to a charity ball at Leinster Gardens. Only when the guests arrived, did they discover the address was fake!